Definition - What does Double Pigeon Pose mean? 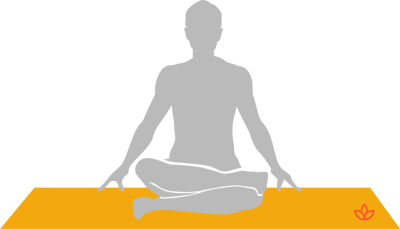 The double pigeon pose, also called fire log pose, is an intermediate seated hip-opening posture. From a simple cross-legged position, the shins are stacked on top of one another. The left ankle is placed on top of the right knee and the right foot slides forward until it is underneath the left knee. With a flat back, the upper body folds forward to deepen the stretch. To complete this pose, the leg positions are reversed. Double pigeon pose may also be referred to by its Sanskrit name, agnistambhasana. Double pigeon pose may seem similar to easy pose (sukhasana), but the latter is a very basic peaceful pose that is easier on the hips because of a more relaxed leg position. Double pigeon pose is a more intense hip-opener and, as such, instills a sense of confidence and prowess. It is an energizing posture that reduces stress levels by calming the mind. Beginners or anyone with limited flexibility should place a rolled blanket, yoga blocks or cushion under the buttocks. If the pose is still too difficult, start with bound angle and reclining bound angle poses to gain hip flexibility before attempting double pigeon pose.